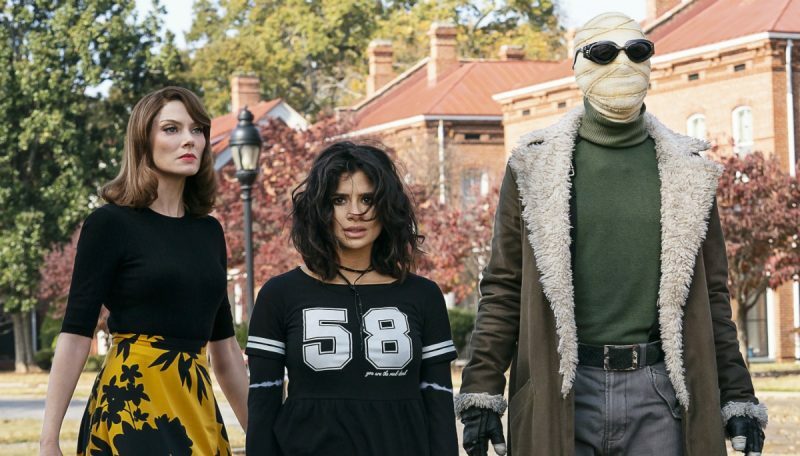 This week’s episode of Doom Patrol served up spooky happenings lifted straight from The Shining, mixed with a large helping of genuine heart and soul. The backstories of both Rita Farr and Niles Caulder were given an expansion in this instalment, as frequent flashbacks to the 1950’s were the order of the day. Incidentally, one thing that doesn’t quite sit right with me and has yet to be explained on this show, is why doesn’t anybody age? A case can be argued that the metahuman characters on the show don’t get any older as a result of their powers, but why does Caulder remain the same throughout the decades? Barring a little bit of hair dye of the 50’s set scenes this week, Timothy Dalton’s appearance on the show has remained the same regardless of the time period. Is there more than meets the eye regarding the character? Or is this another meta-reference in a show that has already made several? As the vast majority of comic book characters are preserved in time, remaining the same age as the decades move on around them, is it a commentary on that perhaps? I would like to see some kind of explanation given by season’s end regarding this, specifically in the case of The Chief. 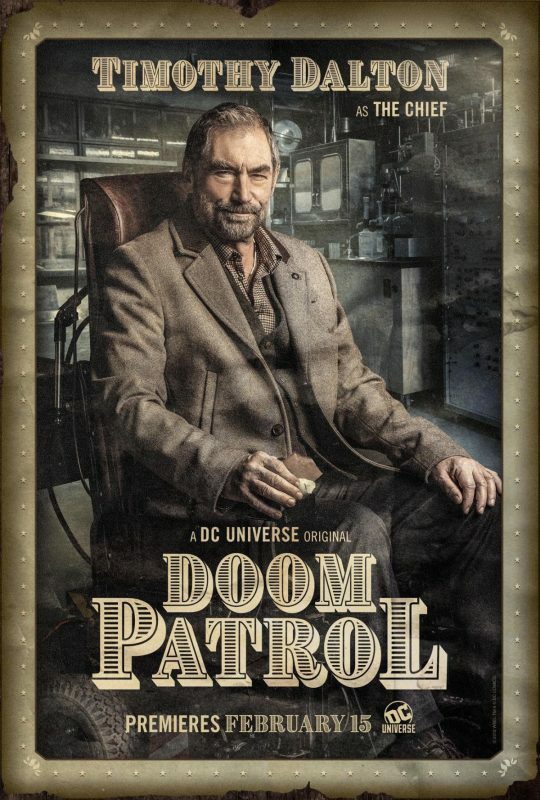 Speaking of The Chief, we learn this week that the current inhabitants of Doom Manor are not the first line-up of the Doom Patrol (even though they don’t actually refer to themselves as such yet). Back in the 50’s, Caulder assembled a team of metahuman heroes to fight evil, although they only amounted to minor league status. The line-up of Mento, Celsius and Lodestone were the titular team, and they disbanded after an encounter with Mr Nobody. Seemingly now running an Xavier-esque school for gifted students, the three are living a quiet life. The X-Men style school is very ironic, given the similarities between the two comic book properties and the acrimony over the opinion that Stan Lee stole the idea of the Doom Patrol for the X-Men. True or not, the Doom Patrol did arrive on the scene first and the parallels are there for all to see. Mentos in particular is the main focus of the original line up, as his alter ego Steve Dayton has big ties to Rita Farr. The arc is serving to make Rita a more sympathetic character, moving away from the self-obsessed former star previously presented. Starting last week with the loss of Elliot at the hands of The Decreator, her change is quite subtle. Flashbacks to her traumatic experience on the casting couch of a 50’s movie producer set the ball rolling this week. Sending her to Caulder for help, the stage is set for the first meeting of Farr and Dayton. Using his psychic gifts, amplified by his perfect for the era helmet, millionaire Steve helps Rita to control her shape and form, leading to a love affair in time. Coming off like a cross between Bruce Wayne and Tony Stark, with just a dash of Reed Richards, Will Kemp is perfectly cast in the role. One does get the impression it is a one and done appearance, but I would welcome more looks back to this era greatly. To explain what comes next in the trip to the “school” would be to fill this review with spoilers, but safe to say that the rug gets pulled out from under our heroes in the worst way. Everything that they have been shown is nothing more than a tragic facade, and that the status of the old heroes is that of broken, tragic old people. Living in an illusion that is prone to malfunctioning, seemingly abandoned by Caulder when they could no longer perform their duties. The final scenes involving the three are genuinely heartbreaking. Is this the fate that awaits all old superheroes when their expiry date has passed? What isn’t tragic is the welcome return of the wonderful Animal-Vegetable-Mineral Man, brief as it is. In a blink and you’ll miss it cameo, his botched armed robbery is one of the most laugh out loud moments in the series so far, which is high praise indeed. I hope this character returns frequently throughout this and all future seasons, providing the levity when needed. A big thumbs up also goes to the scenes involving Cliff, Cyborg and Silas Stone. Left at home whilst the rest go on their trip of discovery, the family issues of both Patrol members are given airtime. Whilst Cliff wrestles with the difficulties of accessing his daughter’s “Facehole” social media account, Vic attempts to build bridges with his father. Silas is humanised by this scenes, which move him away from the austere scientist figure and more towards that of a father. A bonding experience for all three characters, with robotic upgrades and fingers removed from arms, there is real affection developing between the two cybernetic organisms. 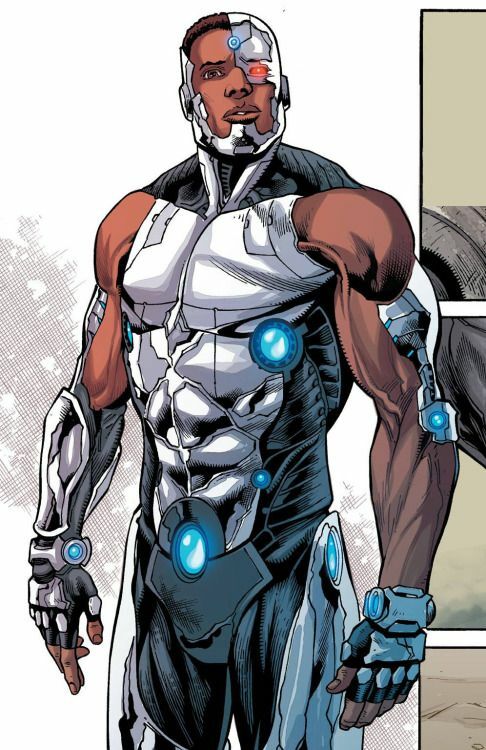 A full look is given to Cyborg’s costume in it’s full glory, which has been unfairly maligned by some “experts”as glorified cosplay. I find such opinions to be ill-informed to the extreme, as that look is a perfect use of practical effects. Far removed from the CGI-fest used in the Justice League movie, it is a look that is lifted straight from the comic book pages, giving the character a nice balance of human and robot in keeping with Wolfman/Perez’s original creation and more recent interpretations. Overall, another involved and entertaining episode of the show. It enhanced the characters of Rita and Niles in particular, but all the principals were given enough meat on the bone to use. Whilst it didn’t make a huge amount of progress in the quest to rescue Niles, it did give us poignancy, pathos and genuine emotion. Not always a plentiful commodity in comic book television, it is that which sets Doom Patrol apart as its own entity. Roll on episode 7, tantalisingly tiled “Therapy Patrol”….